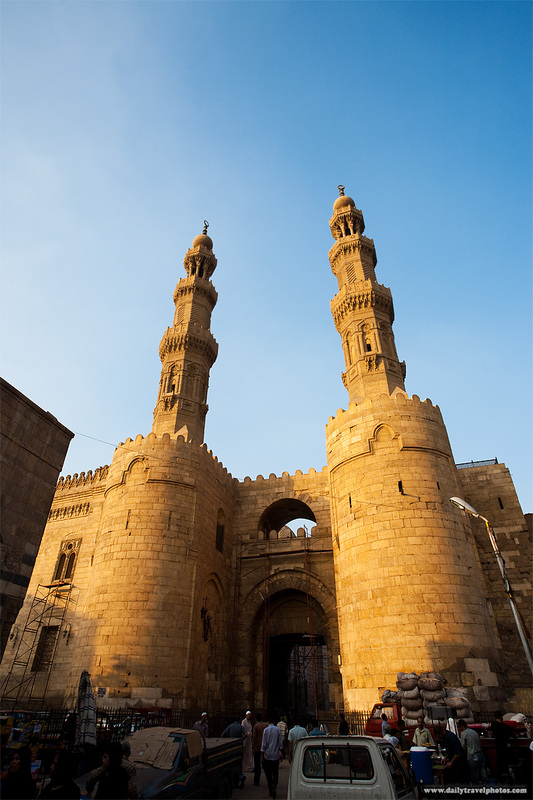 Egyptian bustle at the base of the Bab Zuweila Gateway in Islamic Cairo. The gateway above was originally built in the 11th century and served as a focal point of activity, the equivalent of a town square, until the 19th century. Today it serves a dubious role, in my humble opinion, as the center of the dustiest vortexes in all of Cairo. 10 minutes in the area and my camera was covered in a thick layer of filth. I can only imagine what the inside of my lungs looked like. 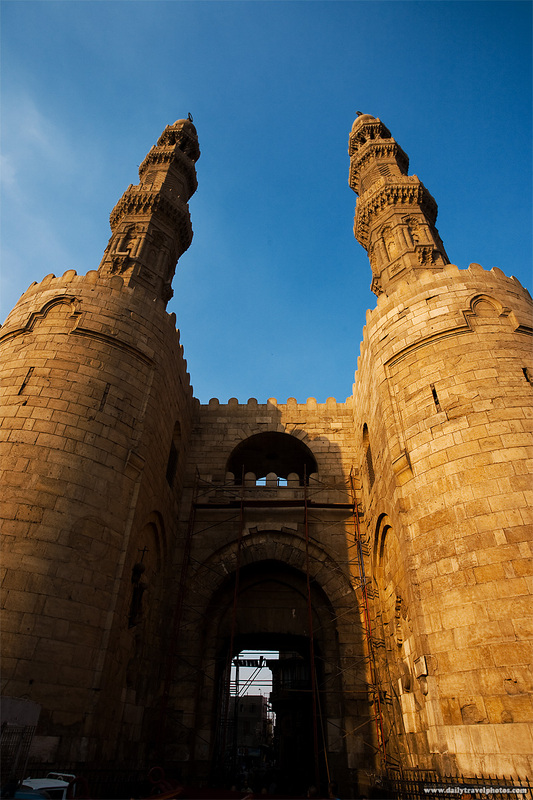 Bab Zuweila gateway, the southern entrance to the old city of Cairo.